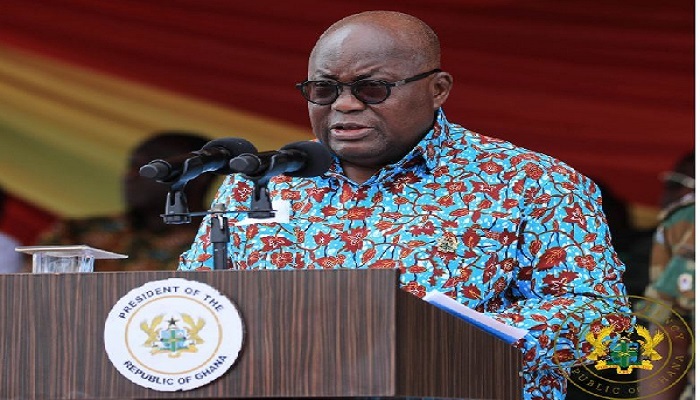 President Nana Addo Dankwa Akufo-Addo has called for partnership between the Church and the government to prosecute the country’s agenda of seeking to uplift the moral, political, spiritual and economic life of Ghanaians. “We want a partnership that is founded on common values of service to mankind, of love and solidarity with our fellow human beings, based on truth, honesty and integrity,” he said at the opening of the 29th Biennial General Meeting of the Assemblies of God, Ghana, at the Kwame Nkrumah University of Science and Technology (KNUST) in Kumasi yesterday. The programme ended the President’s five-day tour of the Ashanti Region, during which he cut the sod for the construction of a number of road networks and inspected projects under the One-District, One-Factory (1D1F) policy. “If we focus on the values, it will lift up our country and fulfil the work of God,” President Akufo-Addo stressed and solicited the support of the Church towards the success of the expanded free senior high school (SHS) programme. He emphasised that education was a tool for development and, therefore, not for partisan debate. It thus requires that all Ghanaians commit to the success of the programme. Touching on the free SHS programme, President Akufo-Addo said Ghanaian children, no matter their location, must have access to education up to the SHS level. “For we do not know which village will produce the next Einstein,” he declared, adding that if Ghanaians had that perspective then they would support the free SHS initiative. The General Superintendent of the Assemblies of God Church, Rev. Prof. Paul Frimpong-Manso, called for a law to compel ‘lone ranger’ prophets to operate under one of the Christian bodies in order for their activities to be regulated. He suggested to the President that churches should be made to submit audited accounts every year to report on how they expended their money. Rev. Frimpong-Manso said ‘such charlatans’ were destroying the image of God and urged pastors not to invite such people to their churches. The Christian faith should move beyond money and focus more on sacrifice to mankind in line with the teachings of the Bible, he stated.